TTclust is a python program used to clusterize molecular dynamics simulation trajectories. It only requires a trajectory and a topology file (compatible with most molecular dynamic packages such as Amber, Gromacs, Chramm, Namd or trajectory in PDB format thanks to the MDtraj package). Easy to use, the program produces a visual feedback of the clustering through a dendrogram graph. Other graphic representations are made to describe all clusters. TTClust: A versatile molecular simulation trajectory clustering program with graphical summaries. The grey horizontal line is the cutoff value used. 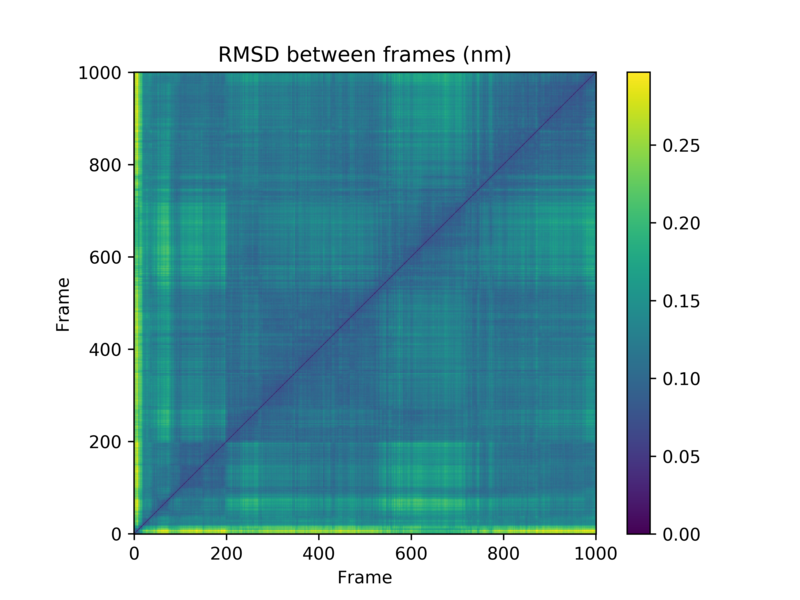 Else, the matplotlib « hsv » color map is used but the color change according to the number of clusters. 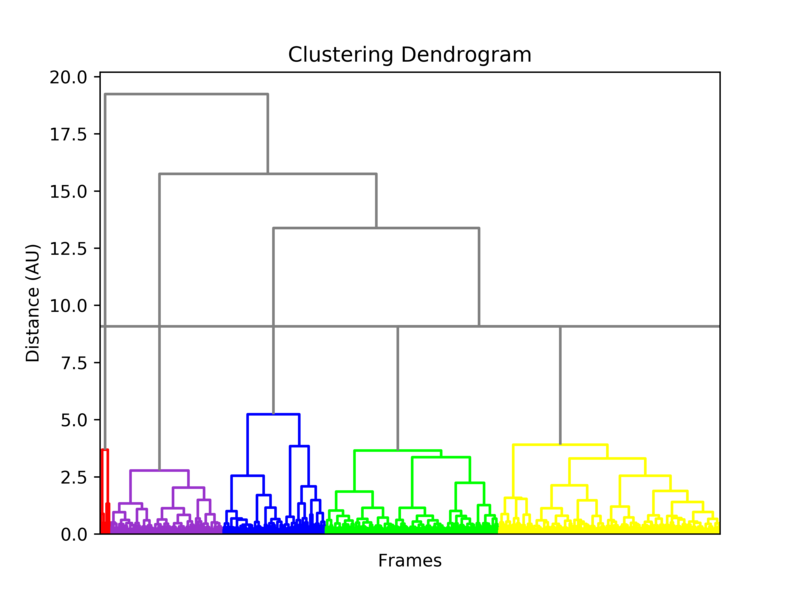 A vertical barplot is generated to have an overview of the cluster size. 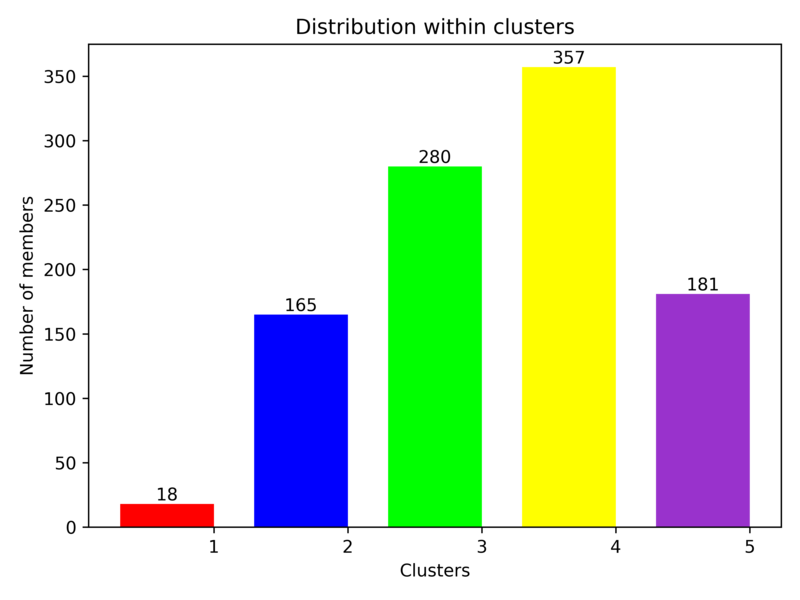 Each bar color corresponds to the cluster’s color in the LinearProjection’s representation and dendrogram cluster’s color. A 2D projection of the distance(RMSD) between the representative frame of each cluster is made. The method used is the multidimentional scaling method from the sk-learn python module. We can follow the evolution of each cluster thanks to the relative distance between them. The color of the points is the same as for other graphs (i.e. 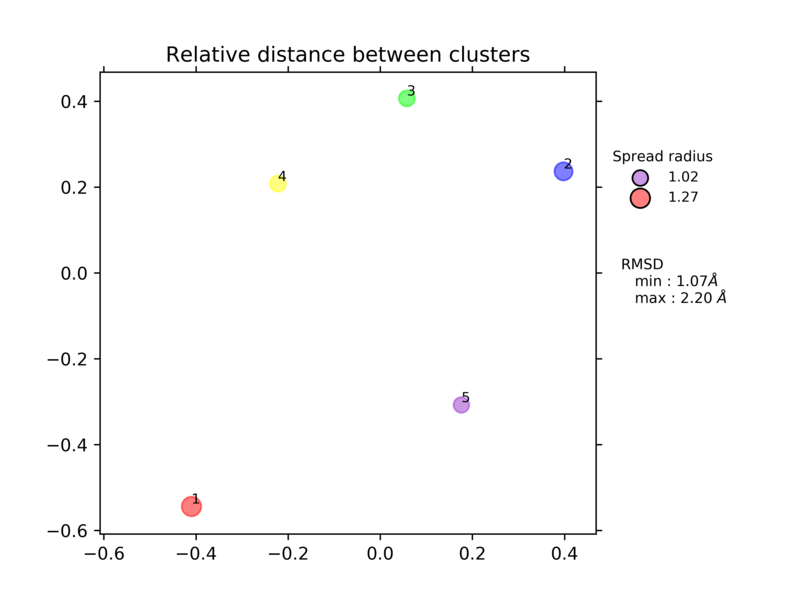 cluster’s color) and the radius of each point depends on the cluster’s spread. A plot of the distance matrix is also made and allows to easily visualize the distance between two frames. Thibault Tubiana | Propulsé par Mantra & WordPress.